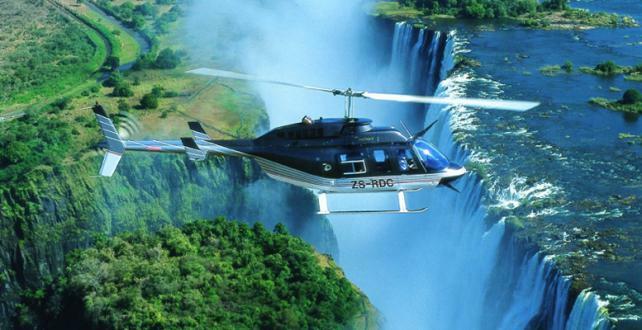 Home » 6 Nights Fly-In Safari: Botswana & Victoria Falls! Experience a top safari on a small budget! A luxury safari in Botswana does not need to cost you a fortune! With Gondwana Tours & Safaris you can experience one of the earth’s last true nature paradises – at an extremely affordable price! As a final highlight our special includes a trip to the stunning Victoria Falls in Zimbabwe! Including the flight from Maun to the Camp, accomodation, all meals and drinks, all activities, park entrance fees, laundry service and emergency evacuation. Including the flight to Kasane, transfer to the Lodge, accomodation, all meals, 1 game drive in the Chobe National Park and 1 boat safari (including park entrance fees of $12 USD per person for 24hrs). *Arrival & Departure flights into/from Maun are usually at the discretion of our clients. Of course we will always be glad to assist you with any concerns. In exceptional cases we can also book your international flight. Featured Benefits: Experience a stunning African safari at a very affordable price! No single supplement at Delta and Chobe! Moremi Crossing is a new tented camp built on a palm fringed island surrounded by the Moremi's game-rich seasonal floodplains and overlooking Chief's Island. Moremi Crossing will be a new style safari camp combining luxury with simplicity. This is a 100% eco-friendly development featuring the latest in solar and waste disposal technology. Accommodation consists of 16 en suite and spacious tents on raised decks, each with their own veranda. There is also a Family Tent and a Honeymoon Tent. The main building consists of a large open plan deck that has a spectacular view over the Boro River onto Chief's Island. This crescent-shaped area is built on different levels to give you the feeling of space. The dining room, bar and lounge are covered by a large thatched roof that hugs the tree line. Various small private lounge areas have been created for comfort, privacy and spaciousness. Within the tree line you will find a nice shaded decked area that leads to the pool. Moremi also has a Curio Shop where you may pick up some mementos which will remind you of your stay. The camp offers a personalized wildlife experience through the provision of high quality guiding services and new custom made boats. Activities on offer are Mokoro Trips with Game Walks, Island Camping and Sunset Motorboat Cruises. Chobe Safari Lodge is situated on the border of Chobe National Park close to the small town of Kasane, which lies at the northern apex of Botswana, Zimbabwe, Zambia and Caprivi. Due to the lodge’s proximity to Chobe National Park, you can have a game viewing experience from your balcony. The Lodge offers accommodation to suit all requirements with eighty rooms including luxury safari and river rooms, simple chalets as well as a fully serviced campsite; all with access to the main lodge area. 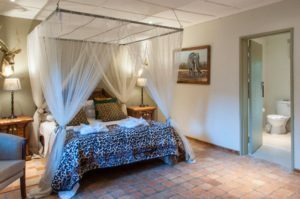 The luxury rooms have views across the Chobe River and are spacious and stylishly decorated with air-conditioning, en-suite bath and shower facilities, as well as satellite TV and phone. The chalets offer a more affordable and simple style of accommodation and the campsite is well shaded and situated at the far end of the lodge. The newly renovated central area overlooks the river and features a large family friendly swimming pool, buffet restaurant, bar, curio shop, conference room, internet café, squash, and beauty spa. 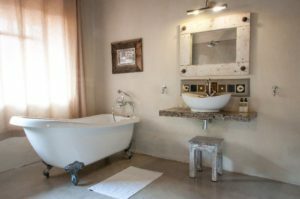 During your stay you will liaise with the booking office to co-ordinate activities which may include game drives in the Chobe National Park and boat cruises on the Chobe River. In Addition Chobe Safari Lodge offers optional fishing trips and day trips to Victoria Falls or Livingstone which is 80 km away. The Victoria Falls are located only 80 km (1,5h drive) from Kasane (with border crossing to Zimbabwe). A minibus will be used for the transfer. The Ingwezi Tavern, steeped in history and character, is central to the communal area where guests are able to gather, have refreshments and socialize. Bayete Guest Lodge room rates include a full Breakfast, which is served in the Caldecott Boma every morning. Delicious home-cooked lunch and dinner options are also available on request, and should be pre-ordered. Buffets and Braai’s (BBQ’s) are available for group bookings or by special request. Activities at the Victoria Falls can be booked at the activity desk through the Guesthouse.